The Indah Samudra Condos are located in downtown Johor Bahru directly across the street from the Thistle hotel. The condo has a view of the straits and Singapore. The Indah Samudra condominiums are in the city center close to the causeway. The building is a close 5-10 minutes from CIQ making it a very good option for commuting to Singapore over the causeway (with a straits view for some of the condos). The condo consists of a 30 floor tower with 178 units, built in 1994. Units range from 1,200 – 2,400 square feet. The condo residents enjoy a jogging track, gymnasium, tennis court and small pool. As with the other condos expats favor, condo has security personnel on site 24 hours a day. At least some of the units (maybe all?) have full bathtubs. 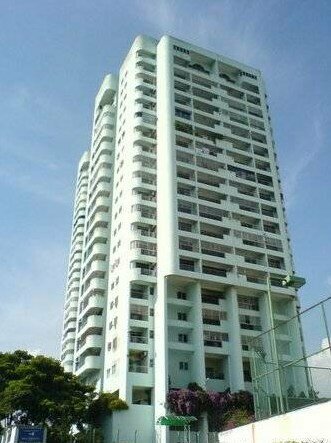 As I mention elsewhere, condo rental agents in Johor Bahru show you the listings they have. If they don’t have any listings at the Indah Samudra condo you need to find another agent to show you. Looking at the popular property sites for agents with multiple listings at your preferred condo is a good strategy to find someone. Monthly rental on these condo units will range between RM 2,000 and RM 4,000.